With every suggestion, we attach a shidduch resume with references. Before meeting, it is the customary practice to call not only the references provided by the person in shidduchim, but neighbors, teachers and other acquaintances. 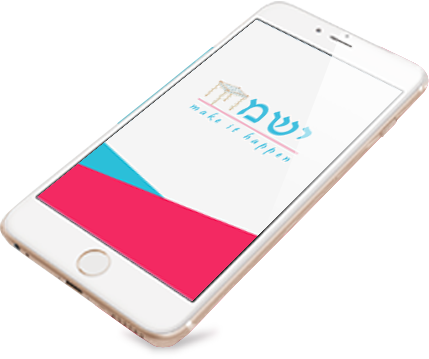 Historically, the birurim- the process of finding out about a suggestion was performed intensively, as it was the essential part of the Shidduch. The meetings or dates themselves were to get an impression of the person, yet did not necessarily detract or add to the suggestion. There are still communities today which follow this hanhaga. In the Anglo-Charedi Community, it became the custom to check less intensively, as the Shidduch was based primary on the dates, while the birurim merely serve to see if the person should go out or not. Because the initiation of a meeting hinges on the references, they are caught in a double bind – saying too little because of worry about speaking lashon hara looks like there is something to hide and saying too much or being prodded too far leads to lashon hara. Yismach would like to provide guidelines as to what a reference is allowed to reveal. Rabbi Yisrael Gans, Rosh Yeshiva of Kol Torah, has clarified exactly what a reference can say. You can see and hear his shiur here. When taking a call, as a reference, one must verify that this information is for the purpose of shidduchim. Source of information: it is forbidden to ask information from someone who is in dispute with the prospect or the prospect’s family. One cannot express his or her opinion, rather just state the facts as they are. Personal knowledge: The reference must first consider whether the answer is something which he/she has firsthand, direct, personal knowledge, or whether it something the reference knows secondhand. If she/he knows it firsthand, she/he can relay the information. Otherwise, he/she cannot. Don’t exaggerate: Well-meaning exaggeration to get a shidduch moving is forbidden, even if the exaggeration is positive, and all the more so if it is negative. Be objective: People view others by ways of their own preferences. Someone who is loud and can’t tolerate a quiet type may automatically project, and relay falsehoods about that person. The reference must be objective. If the reference feels that she cannot be objective, or she is saying negative things out of hatred etc., then she/he is forbidden to answer. Avoid Lashon Hara: If it can be said without lashon hara, then that is how it should be said. If, for example, the person knows both sides, she can advise and say - I don’t think it’s suitable. But if questioned, he/she can respond with the minimum details but in accordance to the above conditions, avoiding lashon hara. Adding details will just damage the person. Know the caller: The reference may not reveal information to someone who will spread the word. If the caller is one who cannot keep a secret, and may damage the shidduch, it is forbidden to say anything negative about the person in question. One must relay negative details which will hurt hakamat bayit yehudi and can lead to divorce. Personality disorders, lack of Tzniut, lack of Yiryat Shamayim, and serious health conditions. These are all issues that must be revealed, as they fall under lo tamoed al dam reecha. If one knows about a serious medical condition, one should relay the information. If there is a safek, ask a rav. If it is after the engagement, and most likely will not change anything, then there is no toelet and one should not say. If it’s a serious issue, but the person doesn’t know the information first-hand, the person should answer, “I don’t know exactly. Perhaps you can inquire further about this issue.” However, one should say outright that “I only heard it as a rumor and not first-hand so don’t rely on me.” Therefore it will carry less weight. The nature of a person is to accept bad information rather than good information. If it’s hard to answer, or one doesn’t know for sure, then instead of being evasive, one can say “I don’t know.” In regards to other neutral issues, if they ask, one can respond. But if they don’t ask, then there is no need to provide the information (i.e. Does she speak English) – if it is important the caller will ask. The reference should not offer information that was not specifically requested. If the respondent has a safek, then they shouldn’t say. One is forbidden to label people. - i.e. sociable, serious, warmhearted, anti-social, negligent, miserly, hot-headed, beautiful, modern, not modern, lacking personality, because people will jump to judge accordingly. One should just state facts in clear terms. The act of labeling is greatly harmful to prospects in Shidduchim. The prospect should tell the shadchan it’s not suitable, or “not for me”, and not reveal the reasons -- not even to the shadchan, even if they press for info. If it was a serious defect such as personality disorders, lack of Tzniut, lack of Yiryat Shamam, or serious health conditions, then one should say. A shadchan is forbidden to ask why the prospect does not want to go out again. In choosing references, one should take care to select individuals who are both knowledgeable both about the person, and aware of the halochos of loshon hara. When calling references, Yismach urges you to limit your questions and structure them according to the parameters delineated in the Shiur of Rabbi Yisrael Gans, Rosh Yeshiva of Kol Torah. Is it a mitzvah to make Shidduchim? According to R’ Elyashiv zt”l one is allowed to lie slightly about their age. However, according to R’ Shlomo Zalman Orbach zt”l one is absolutely forbidden to lie about age, even to a slight degree. Only in very specific cases does one attain a heter to lie about age.9 This heter requires a specific psak. Can anyone be a Shadchan? Who is entitled to Shadchan fees? If one suggested a name to only one side, and another Shadchan was involved to complete the Shidduch, the first shadchan did not contribute to the shidduch and is therefore not entitled to payment. However, if someone suggested the name of someone who the other Shadchanim could not possibly think of (such as a person from outside the country), there is a macklokes if the person is entitled to a fee as an initiator. As the scenarios vary greatly, and the halachos of matchil are based upon takanas and minhag hamakom one should consult a dayan for a psak for each case. To avoid disputes, it is advisable that one shadchan see it through to its conclusion. Is it permissible to change Shadchanim in the middle of a Shidduch? Who has to pay -- the Chasan and Kallah or the parents? Question: If someone was offered a shidduch where the father of the girl is not a talmid chacham but the girl herself has yirat shamayim and knows the value of a talmid chacham – would this be an acceptable match? One cannot cancel a shidduch if one finds out that a sibling of the Choson/Kallah became an atheist or converted to other religions, because it is considered Mum Shebagalui (a public defect). If they already paid the Shadchan, the Shadchan does not have to return the money. However, if they didn’t pay the shadchan, they are not obligated to pay. If that sibling was in another country then it is considered Mum Shebaseter and it is a Mekach Taut. Therefore they do not have to pay the Shadchan. If they did pay the Shadchan, he/she is obligated to return the money. If, after the engagement, a sibling converted to other religions or the Choson/Kallah lost their sanity, or if the Choton/Kalah went off the derech, then one can cancel the shidduch without a knas. However, since this happened after the engagement, there is no Mekach Taut. Therefore the shadchan’s work is complete, and one must pay. If one Shadchan wants to forego his fee, it is irrelevant to the second Shadchan and the second Shadchan only gets paid according to the work done by them.40 For example, if the matchil, who is entitled to 1/3, tells the couple to use another shadchan and he will forego his fee, then the shadchan who completes the shidduch gets 2/3 and not the full fee. The basic principle is that it is a mitzvah to marry and have children. אגרא דפרקא ו: נאמר לי בשם קדוש ישראל הנ"ל, מה שאמרו רז"ל במדרש (במ"ר יג, ז) שבטא באב נולד משיח, הוא דהנה נשמת משיח הוא נשמה היותר גבוה וכוללת, וא"כ צריכין ללידת זאת הנשמה זיווג היותר עליון, והנה נראה מענין אהבה הגשמיית בענין אהבת חבירים ואהבת איש עם אשתו בהיותם ביחד לא תוכר כ"כ האהבה, משא"כ כשרוצים להפרד ולהרחיק נדוד זה מזה, אז יתפעלו הנפשות באהבה יתירה אהבה עזה מגודל הגעגועים, וע"כ חייב אדם לפקוד וכוב בשעה שיוצא לדרך (יבמות סב, ב), וא"כ אז הוא הזווג באהבה יתירה אהבה עזה ונולד מזה הנשמה היותר גבוהה, ע"כ להיות ענין הפירוד בין הדבקים והיציאה לדרך היה בתשעה באב נולד מזה הזיווג משיח היא הנשמה היותר גבוה.וכוב חיי"ם עד העולם. ותתבונן תיבת יחו"ד אשר נשתמשו בו כל בעלי הקבלה, היינו המשכת הוב אל הח"י להשפיע אל הדב היינו תיבת יחו"ד בשלימות. What are the Jewish views of love? In an obscure sefer, the son of the Abarbanel, Yehuda Abarbanel presents a philosophical dialogue between husband and wife on the subject of love. The sefer, which was published posthumously, was extremely popular, was written originally in Italian Dialoghi Damore and in Hebrew it is called ויכוח על האהבה or שיחות על האהבה. In the first chapter of this book, Yehuda Abarbanel analyzes the difference between desire and love. Desire he posits, once satisfied is generally no longer desired, but love is insatiable. The dialogue concludes that this may be sometimes true, but sometimes love and desire can coexist; sometimes love and desire may strengthen or erode together, and sometimes may complement each other. Desire is believed to be a lower and unholy form of attraction, and its role in love depends on the source of the desire. The analysis of the dialogue concludes that people who truly love, it is as if the other lives within them -- a person who loves someone else, can feel the other’s pain and joy even more than the person themselves, such that "love makes one person two and two people one." This happens as a result of the neshama striving to cling to another`s neshama, which as a purely spiritual entity it can do. But since the neshama is separated in this world by the body, two neshamas cannot completely attach. Falling in love is first the observation that the object of love is pure, just, wholesome and worthy of being loved. Once the mind judges that the person is worthy of love, it is no longer bound by the logic of the mind and indeed feeling overrides any logical thoughts. In such a case, a person loves the person, whether they are with them, alive or no longer alive, whether they receive love in return or not. It is what is described as a boundless love. The soul yearns to attach, yet it is constantly afflicted with the knowledge that true attachment is impossible as long as the body exists. As this desire is fomented by love, such desire is considered pure. After marriage when the commitment bond is formed, as love continues to grow, the person knows that their desire for the person is bred from a holy form of love and not the other way around. It is such a love that sustains a relationship and which grows over time. Yet in the opposite scenario in which desire is a preeminent part of love, once a person attains the object of their desire, the desire dissipates and so does the love. Those relationships, whether knowingly or not, which are mutually beneficial relationships, where each one derives some benefits that did not exist or they could not attain on their own, the feelings may be cyclical - sometimes feeling euphoria which is not sustainable, eventually eroding with the passage of time. In contrast to Yehuda Abarbanel’s view of self-less love Rav Shimon Shkopp explains how one can love themselves and still love another. In his opinion an action that benefits another person is considered kedusha, while a person acting for his sole benefit is considered one acting against kedusha. However, he argues, the Torah does not want a person to hate themselves, and in fact Hashem created a person to receive boundless shefa and therefore the nature of man is not incongruent with self-love. In the foundation of the creation of man, God implanted in him the desire of self-love to a very large degree. . . . At first glance, the feelings of self-love and love of others contradict each other. But we must try to go deep enough to find the key which unites them, since God demands them both of us. This key is that a person should clarify and verify the quality of his “I” (ego), since that is how every person is measured: For a coarse and lowlife person, his “I” is completely limited to his body and physicality. Above him is someone who feels that his “I” combines his body and soul. Above him is someone who includes in his “I” his family members. If a person walks in the ways of the Torah, his “I” includes the entire Jewish people. After all, every Jew is like a limb of the body of the Jewish nation. There are even more levels which a complete person should incorporate into his soul: to feel that all the worlds are his “I”, and he himself is only a tiny limb of the entire creation. In this way, the feeling of self-love can help him love the entire Jewish nation and the entire creation. While it may appear that Yehuda Abarbenal takes the position that self-love comes on account of loving another and one cannot love himself if he loves another while R’ Shimon Shkopp says that truly loving others stems from loving yourself, it may be that these are two sides of the same coin. For Yehuda Abarbenal speaks primarily of a love that has physical dimensions, while R’ Shimon Shkopp focuses on a spiritual self-love in which a person seeks to elevate themselves. The end result is the same. To illustrate this point: Once Rabbi Aryeh Levin’s wife felt pain in her foot. They went to the doctor together where the doctor asked, "What can I do for you?" Rabbi Levin answered in all sincerity, "Doctor my wife’s leg is hurting us." But two becoming one does not mean that there is only one point of view. R` Aryeh Levin told his wife -- whenever we argue, I promise to always justify your position, to which his wife responded that whenever an argument arises, she will always justify his position. In this way, neither he nor she ever had anything to apologize for. When Torah-observant people are absolutely giving, building a true relationship takes no effort. A number of years ago, when Rabbi Shlomo Zalman Auerbach lost his wife after 50 years of marriage, he eulogized her and declared: "It is customary to request forgiveness from the deceased. However, I have nothing to ask forgiveness for. During the course of our relationship, never did anything occur that would require either of us to ask the other`s forgiveness. Each of us led our life in accordance with the Shulchan Aruch." Love is actuated by giving, not taking. The Jewish ideal is giving even if they will not receive in return (Matan Tzedeka Baseter), and not giving with ulterior motives to receive in return. The mindset of “What have you done for me today?” is antithetical to the Jewish definition of love. That is why our forefathers looked for wives for their sons that were baalat chesed. Do I need to actively look for a Shidduch? Does this Hishtadlus conflict with Bitachon? Some people, especially yeshiva buchrim do not approach shadchanim, but rather wait to hear a suggestion. They feel that making an effort contradicts their bitachon. Some specifically quote the Gra who says that the efforts people make to find a zivug is in vain, because everything is from Hashem. However R’ Shlomo Zalman Auerbach corrects this misinterpretation of the Gra and states : "Even though Hashem makes shidduchim, one must still do hishtadlus, though less than one would do for one’s other needs." R’ Chaim Kanevski Shlita – "Even though it is predetermined who one is going to marry, the time is not. Davening helps a person find that person sooner." The Pela Yoetz outright rejects the notion that one doesn’t have to do hishtadlus and says one should remove the mask of shame and ask around for a wife, for this is the foundation of kedusha, and is an obligation on a person to get married. Also sometimes the gezerah is that the zivug is found easily, but sometimes the gezerah is that a person finds someone based upon their davening and hishtadlus and therefore must exert their efforts to find someone. The Baal Shem Tov brought to light an interesting concept, that people perceive evil in others only because that specific evil exists in themselves. One who sees someone commit a sin is only brought to that situation because they committed it themselves in some form, though mostly through a symbolic relationship. For example, a person who sees a person commit idolatry doesn’t mean they themselves committed it but rather perhaps got angry which, as stated in Gemara Shabbos, is equivalent to committing avoda zara. When one is completely pure, they simply do not see any evil in others. Based upon this assertion, if someone constantly finds fault in others, they are in need of reevaluating their actions. In contrast, those who are “makir tov” – who appreciates others, who recognizes the good in others and who sees the godliness (Tov is one of the names of Hashem) in others--for them, relationships only get better over time. What also wreaks havoc with shidduchim is unrealistic expectations, derived from non-Jewish or secular culture, and even sometimes from the Bais Yaakov system. R’ Yaakov Edelstein was asked if it is preferable to take a Chason who is 100% lamdan or 100% baal midos, to which he answered that baal midos is preferable. Not just practically but also for the sake of shalom bayis. He said that in his opinion the Bais Yaakov schools put too much emphasis on the learning of the boy, rather than his midos, and as a result the girls get older and hold out for the gedol beTorah, and if a suggestion isn’t an incredible learner, they don’t want to hear about it. The correct way to approach it is if they cannot find the Torah genius, they should take a boy who isn’t so strong in learning but is Yirei Shamayim, davens properly, and learns, rather than wait for years. Getting bad advice, even from those with good intentions, can be devastating. From the Chida’s tefilah1 for a boy to find his mate, he says that no prophet or ba’al ruach haKodesh exists today who can determine which is the "ראויה" the right one. The reality is that people freely offer advice about shidduchim, but should emulate the Chazon Ish who did not push or encourage a specific shidduch, but rather only gave advice to those who asked. According to R’ Yisrael Gans, Rosh Yeshiva of Kol Torah, when being a reference, one cannot describe someone by "labeling" them since these stereotypes distort the reality of who the person is. Nor is the reference allowed to relay any information that they do not have direct personal knowledge of. Certainly, labeling others who the "advisor" never met and has no personal knowledge of is absolutely prohibited. R` Chaim Walkin told the Yismach staff that the secret to shidduchim is secrecy, and shadchanim have seen no small number of shidduchim fall apart once a person revealed to their friends who they are going out with, "friends" who belittled them, and "convinced" them that they should seek others. Shadchanim have heard of people who destroyed their efforts because a friend or neighbor said "I don`t see it" or the person comes back with "I asked people who know both sides, and they didn`t think it`s appropriate." People are more than encouraged to help shidduchim and provide any information that can help you determine if it is right for you. But to outright sabotage a chance for a shidduch, and convince you of what you need based upon their own opinion, does not hold your best interest in mind. רבונו של עולם, בחסדך יצרת עולמך, ובראת אדם, ועשית לו עזר, וצויתנו לישא אשה ולהוליד בנים, והחמירו עבדיך רבותינו זכרונם לברכה שלא לאחר מצוה זו, ויען חיי האדם בעולם הזה ובעולם הבא תלויים כמעט באשה, ובעונותינו הרבים אין עוד נביא ולא בעלי רוח- הקדש, לדעת איזו ראויה כדי לקיים מצותיך. לכן בלב נשבר באתי להפיל תחנתי לפניך אב הרחמן, ויהי רצון מלפניך ה´ אלקי ואלקי אבותי שתתמלא רחמים עלי ותזמין לי בת- זוג נאה, יראת ה´ ובעלת מדות טובות ובעלת מזל טוב, וטובת שכל ומוצלחת ומבורכת, כי בזה אוכל לעבוד עבודת הקדש בלי טרדה, והיה הנערה אשר ידברו לי עליה והיא ראויה, ויש לה יראת- ה´ ומידות טובות ומזל טוב והוגנת לי, ברחמיך הרבים תחון עלי ותטה לבי לגמור הדבר באופן שאוכל לקיים מצותיך וטוב לי בעולם הזה ובעולם הבא. What can I do to get married sooner? The years are passing me by. I have tried everything. I did all the segulahs. I davened my heart out. I went to all the Shadchanim. What else can I do? In the Shla’s tefilah to find a zivug, two concepts are highlighted. Who you marry is predestined. When you marry is not. When asked how davening could help if a zivug is already determined from shamayim, Rav Chaim Kanievsky said that davening helps a person find their zivug sooner, as the time when someone will find their zivug is not predetermined. Even though it is not predetermined, we can see from the Shla’s tefilah that there exists a concept of right time that Hashem arranges to find a shidduch. Davening can help bring that right time sooner. In the old days, when girls and boys started shidduchim between 14 and 17 years old, most gedolim strived to get married in that age range, as well as to marry someone several years younger. However, against the backdrop of people getting married young, many gedolim got married when they were “alte bochurs,” including gedolim who married people their age. There is a site where you can find out the age that gedolim got married. The Taz got married to someone his age at 29. The Chofetz Chaim married someone his age. Rav Shach and his wife were both 25. Rav Dessler got married at 29. His wife was 31. Maharal got married at 31. Ketav Sofer married at 36. Chatam Sofer married at 24. Rabbi Hutner got married at 27. Rav Moshe Mordechai Epstein married at 26. Rav Kaduri married at 37. Going further back, Yitzchok was 40 and Yaakov 84. This might come as a shock to many people, especially considering that people started to hear shidduchim at a much younger age. Those who aren’t getting married at the same age as their friends should know that they are still in very good company. Keeping a positive outlook during this period is critical; one should never lose hope! Many in shidduchim feel that it is not fair. To put this in perspective, and to view it from another perspective, the Chafetz Chaim’s wife was feeling the hardship of poverty and said to her husband “Look at so and so who has no Torah, no yirat shamayim, no middos, no smarts and yet Hashem rewards him with a fortune, and you who are a great tzadik and has Torah, middos and yirat shamayim don’t have any money! How is it justice? The Chafetz Chaim told her: How is that justice? For a person who has no smarts, no middos, no yirat shamayim, no Torah, it’s only fair for Hashem to reward him with money. But for us who have a house filled with Torah, and yirat shamayim and good children, and on top of that you expect also money?! How is that justice? Though we may not understand it at times, Hashem always has our best interests in mind. This whole process is by divine intervention. The Chazon Ish wrote that today, it is in shiddduchim you will see the hand of the Hashem in this period of history where more often than not, there is hester panim. When it is the “right time” it will miraculously fall into place. אגרא דפרקא ב אגרא דפרקא ב: סיפרו לי מעשה רב, מאת כבוד קדושת הרב הקדוש מה"ר דב בער זצוק"ל. בהיותו מתבודד עדיין בעניות ובדחקות, פעם אחת באת אשתו והתחילה לספר לו בבכיה מגודל דחקות בניו איך הם רעבים וצמאים ואין כסות בקרה, אזי שמע דבריה והיה מתאנח מעט, והנה שמע קול שאמרו לו מן השמים שכבר אבד חלקו מן העוה"ב, והנה עמד מרעיד כרגע בהתבוננו בדעתו שכבר אין לו ב’ עולמות, דעוה"ז כבר אין לו דהנה הוא ובניו מדוכים בחיצי רעב עד למאד, וגם עוה"ב אין לו, והנה בהתבוננות הזה הפסיק מעט מתורתו עד אשר שם אל לבו בקדושת עיונו, אדרבא הנה כעת אהיה עובד עבודה אמתיית שכבר אבד סברי משני העולמות ותהיה עבודתי באמת רק לעשות נחת רוח, והתחיל שוב ללמוד בקדושה, אז בשרוהו מן השמים שהחזירוהו לחיי עוה"ב, רק מהיום והלאה יהיה נזהר שלא יעשה כזאת, היינו שלא יתאנח עוד מחמת גודל רחמנותו על בניו כי אין לך רחמנות מרובה מרחמנותו ית"ש.יצא לנו מזה ב’ ענינים להנהגת האדם במדותיו. א’ דברי מרן ז"ל בענין אלישע אחר וכמש"ל אות א. ב’ לקבל גזירתו ית"ש באהבה ושלא לדאוג ולהתאנח על זה כי צריך לדעת שהכל מצד רחמנותו ית"ש. © 2011-2016. Yismach, All rights reserved.